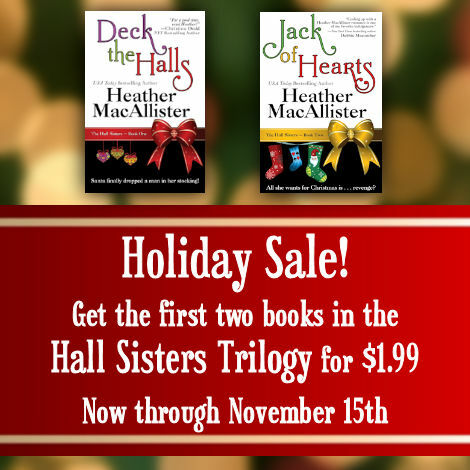 Two romances for the holidays! 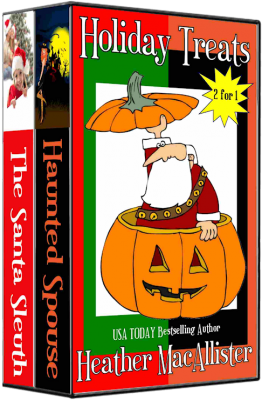 Holiday Treats contains both HAUNTED SPOUSE, about two exes building a haunted house for charity, and THE SANTA SLEUTH, about a little girl who searches malls for the real Santa Claus. 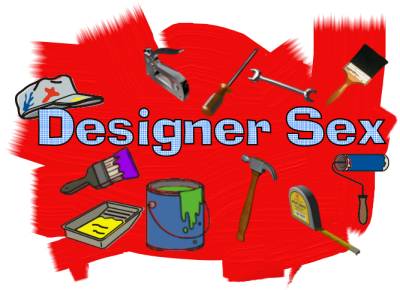 In HAUNTED SPOUSE,architect Frizzie Lizzie, the Scream Queen, designs haunted houses. Architect Jared Rutledge’s classic buildings are designs for the ages. Jared believes Lizzie is wasting her talent–and frequently tells her so. Lizzie tells him he needs to loosen up. That’s probably why their business partnership didn’t last any longer than their marriage. But now, Jared needs Lizzie’s help in fixing a haunted house he designed to raise money for a physical therapy center. After she recovers from the shock of Jared asking for her help, Lizzie realizes it’s the perfect opportunity to show him that she doesn’t design “frivolous structures” and at last win his respect. Although if she’s honest, Lizzie is hoping she’ll win more than that. 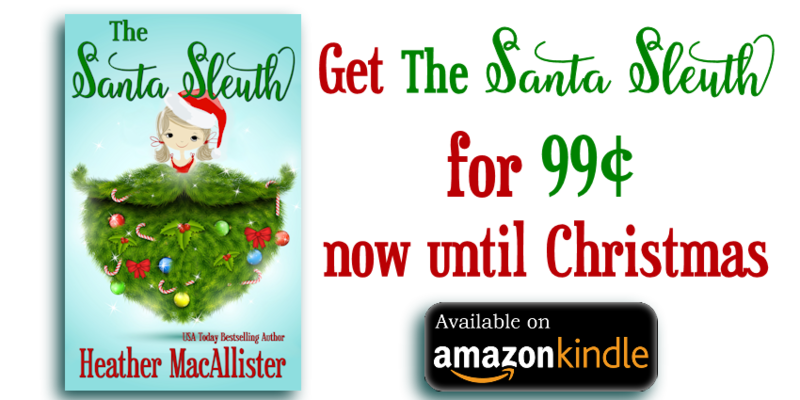 In the funny and heartwarming THE SANTA SLEUTH, a little girl’s search for Santa brings two lonely people the gift of love. Reporter Amanda Donnelly hates Christmas–and she’s not that fond of kids, either. So when she’s assigned a story about kids visiting Santa Claus at the mall, she wants it over with as fast as possible. But when Virginia, the cute little girl she features becomes a hit, Amanda’s producer wants Virginia to visit more mall Santas and pick the best one by Christmas Eve. Unfortunately, Virginia’s busy single dad, Kirk, is that rare parent who isn’t impressed by the opportunity to have his daughter on TV. Amanda quickly learns that if she wants to guarantee that Virginia shows up for a taping, she’ll have to drive her. They spend a lot of time together and in spite of herself, Amanda grows fond of the little girl. After Kirk unexpectedly joins them one Saturday, she finds herself drawn to him–and the feeling is mutual. But a workaholic father and a lonely little girl who wants a mommy do not fit in Amanda’s life plan. She works crazy hours–once the story is over, she won’t have time to spend with them. Christmas approaches and Kirk says he loves her. But does he love Amanda for herself, or is he looking for a mother for Virginia?